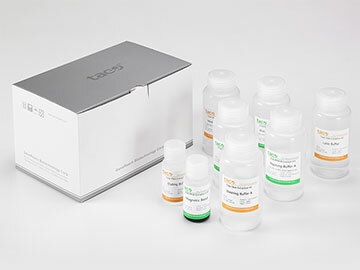 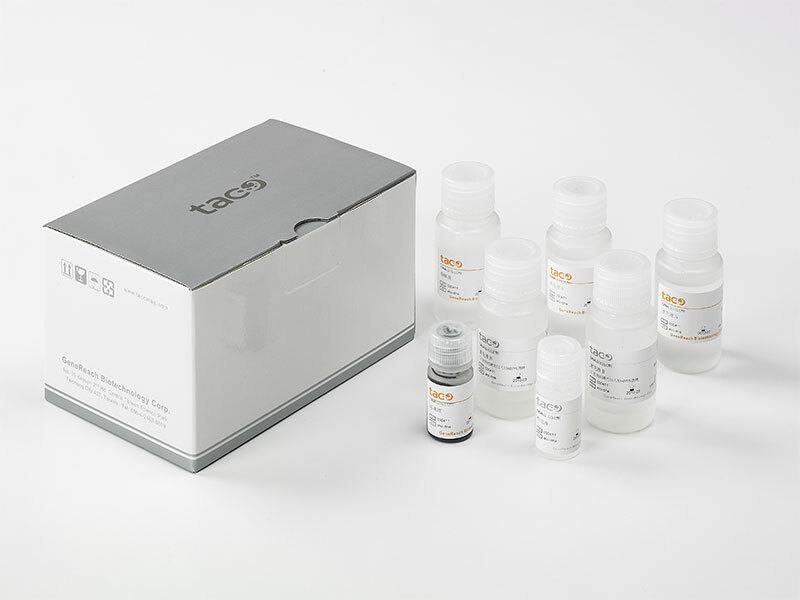 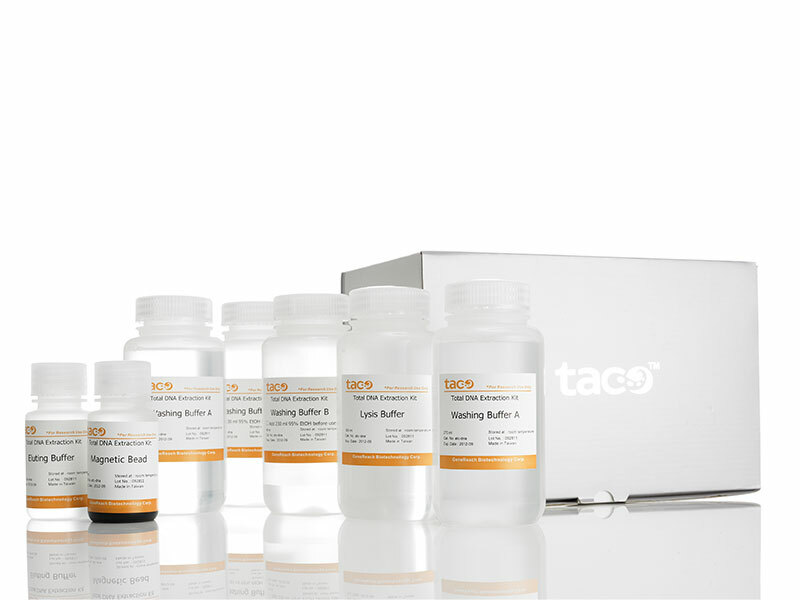 The taco™ Nucleic Acid Extraction Reagent products are specially designed to be used on taco™/ taco™mini Nucleic Acid Automatic Extraction System. 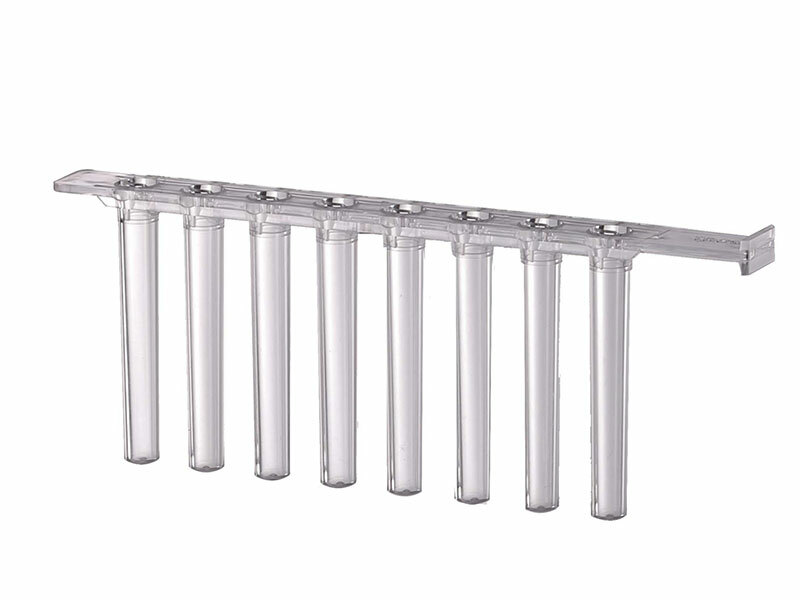 The assay adopt the advanced magnetic separation technology, homogenized sample cells are lysed and nucleic acids are conjugated by silica coated magnetic beads. 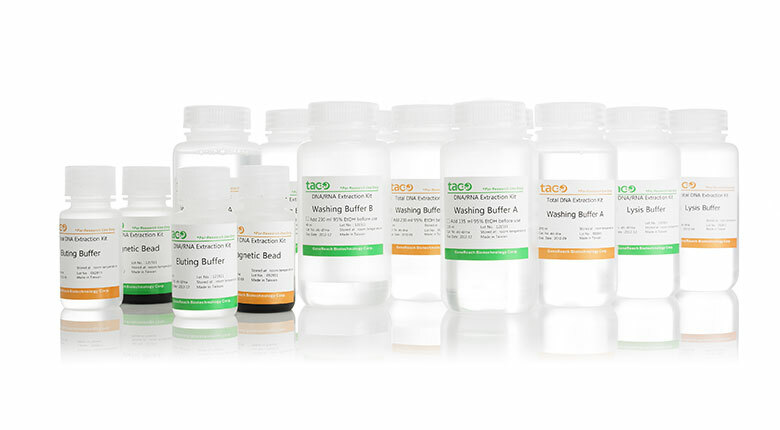 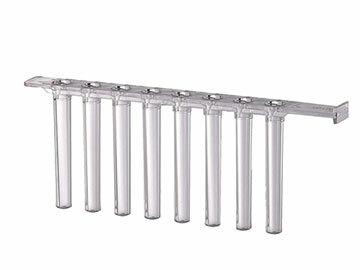 Washing Buffer is then applied to remove impurities, and Eluting Buffer to recover nucleic acids from magnetic beads followed by serial washing steps. 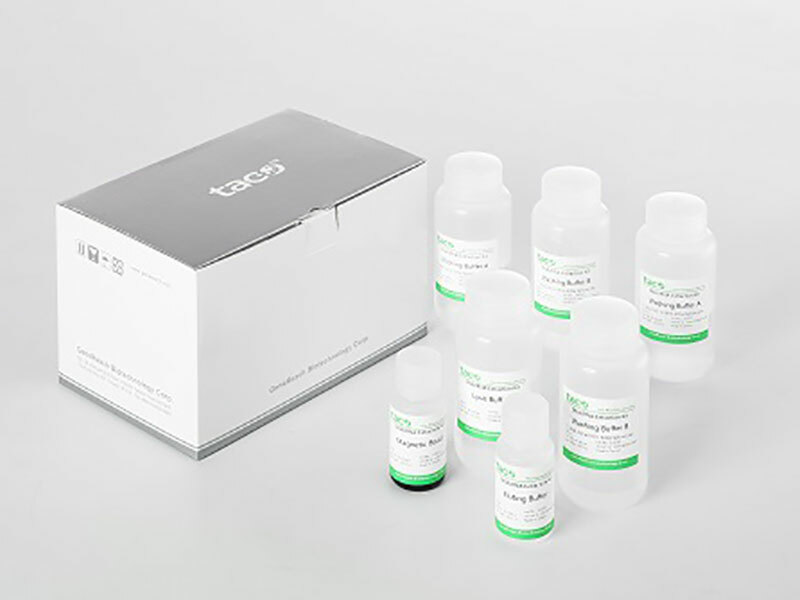 The products can extract nucleic acid from whole blood, buffy coat, animal tissues and cells from user self-verified homogenized methods for research purposes.